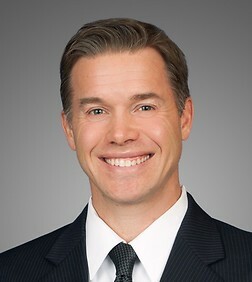 Robert L. Wernli, Jr. is a partner in the Corporate Practice Group in the firm's San Diego (Del Mar) office. Mr. Wernli has a broad transactional practice with three main areas of focus: securities, mergers and acquisitions, and joint ventures and strategic alliances. Mr. Wernli previously served on the Partnerships and LLCs Standing Committee of the State Bar of California. Representative clients have included LendingTree, Inc., Dialogic, Inc., Parametric Sound Corporation, Bridgepoint Education, Inc., Clean Energy Fuels Corp., Overland Storage, Inc., SpaceDev, Inc., Axesstel, Inc., American Technology Corporation and MicroIslet, Inc. Represented Cubic Corporation (NYSE: CUB) in acquisition of Gridsmart Technologies, Inc. Represented Employee Health Systems Medical Group, Inc. in acquisition of Multicultural Medical Group, Inc. Represented Allied Universal in acquisition of FJC Security Services, Inc. Represented Keolis Transit America, Inc. in divestiture of subsidiary Limousines of South Florida, Inc. to Transportation America, Inc. Represented Celerity Partners in acquisition of Meridien Research, Inc. and Insearch.net, Inc. Represented Overland Storage, Inc. in acquisition of Snap Server NAS Business from Adaptec, Inc. Represented SpaceDev, Inc. in acquisition of Starsys, Inc.